The VB4Z-AC318D infrared bullet camera features a 2.7~13.5mm motorized lens with 2 EXIR Smart IR LEDs. 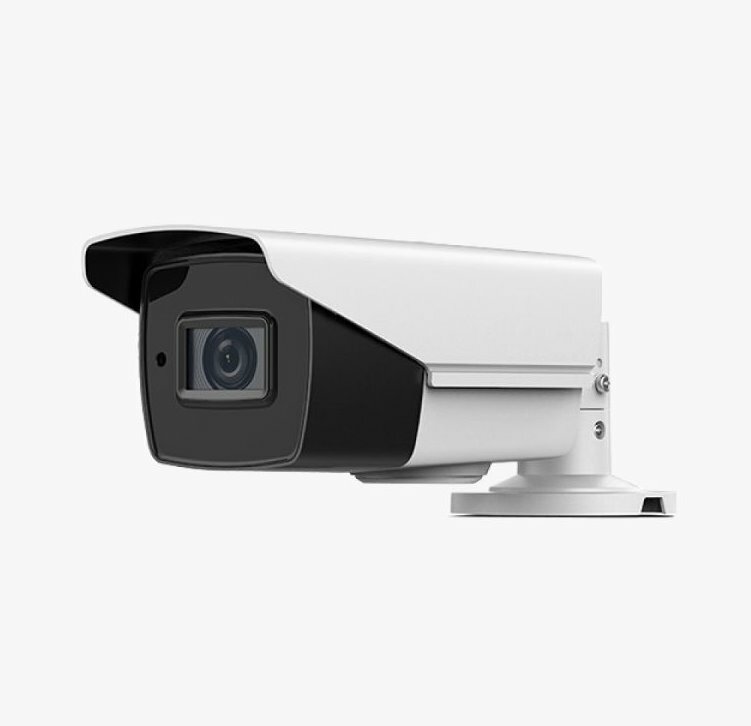 The weatherproof IP67 housing makes this camera suitable for both indoor and outdoor applications. The impressive 8.29 MP Progressive Scan Sensor is capable of 8 Megapixel (4K) resolution for ultra clear images when used with our 8MP 4K Hybrid+ DVR series. The motorized 2.7~13.5mm lens with CoC/UTC technology makes adjusting the cameras zoom lens easy right from the DVR or mobile app. The cameras day/night ability gives you full color images during the day then switches to infrared assisted B&W at night providing clean clear images even in total darkness. Comes with a fully adjustable concealed cable bracket making it convenient to mount on both ceilings and walls at various angles.